PACE EDITION!!!! PACE EDITION STITCHED HEADREST WITH CHROME PACE EDITION TRUCK BADGING!! NAVIGATION!! SUNROOF!! REVERSE CAMERA/SONAR!! WOODGRAIN WITH CHROME INTERIOR TRIM!! BOSE AUDIO!! POWER ADJUSTABLE PEDALS!! LANE ASSIST!! HEATED/COOLED/MEMORY/BUCKET SEATS!! NEW WEATHERTECH MATS!! FACTORY SPRAY-IN BEDLINER!! NEW POWER RUNNING BOARDS!! NEW 8'' SUSPENSION LIFT!! NEW 22'' CHROME FUEL HOSTAGE WHEELS!! NEW 37'' TOYO M/T TIRES!! NEW PAINT MATCH FENDER FLARES!! NEW CUSTOM GRILLE!! 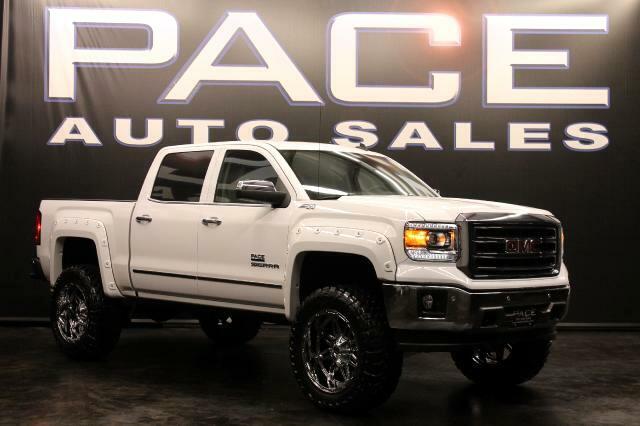 OUR SIGNATURE PACE EDITION TRUCKS ARE THE MOST WANTED LIFTED TRUCKS ON THE ROAD!!!!!!!!!!!! GET YOURS TODAY!!!!!!!!!!! !